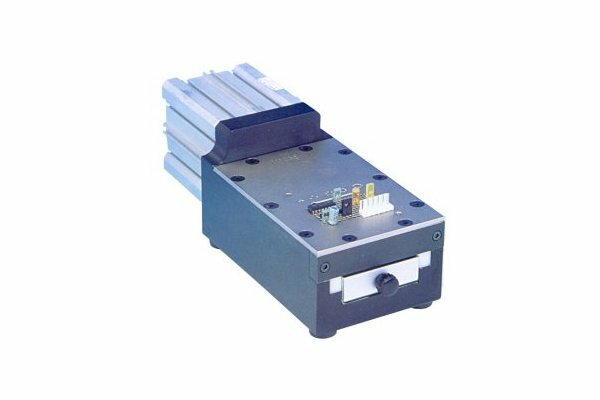 The pneumatic machine TP/LN-500 is used for cutting the leads of loose radial components by using a guillotine type lower blade.This model can handle any kind of components regardless of the diameter, pitch or form. 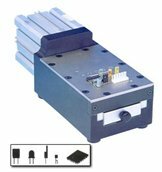 The pneumatic foot pedal which performs a quick cut of the leads, without any stress to the components. The upper plate which is supplied as standard with the machine and determines the cutting height, which is 3.2mm. Additional plates to increase this height can be ordered on request, starting from 0.5mm. The standard grid pattern accommodates most types of components. Special grid pattern plates can be provided on request. Note: Minimum plate thickness 2.4mm (smaller by selective milling on the top plate). Machine specifications for the entire range of Component Cutting Machines can be found in the PDF Document.